Note: The images below have been borrowed from Michael Hyatt's instructions on how to setup Google Calendar on your iPhone 4. Note: You may be prompted to log in if you are not already logged into your Gmail account. Ensure that the Mumineen Miqaats calendar is selected. Scroll down to the bottom of the page and tap the "Save" button. A message should appear that confirms that your settings have been saved. Open the "Settings" app on your iPhone. 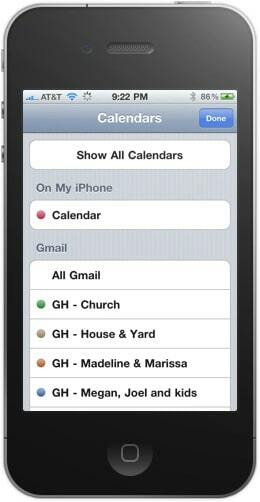 Tap on "Mail, Contacts, Calendar." 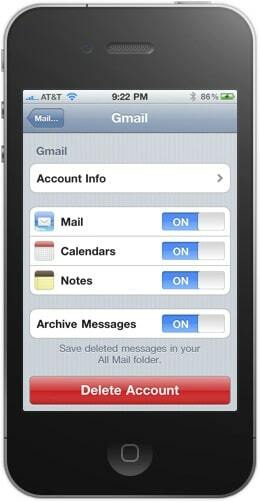 You should now see all of the email accounts you have set up. If you don’t already have your Gmail account set up, tap on "Add Account", select "Gmail" and follow the directions. Tap on your "Gmail" account. If the "Calendars" switch is off, then skip to the next step. If the "Calendars" switch is on, turn it off. You should immediately get a prompt asking you to confirm your choice. 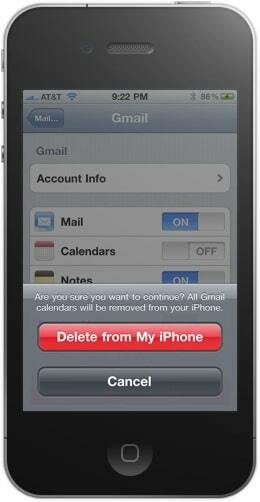 Click on the button that says "Delete from my iPhone." Now turn the "Calendar" switch back on. You can skip the next step. Since the "Calendars" switch was off, turn it on. You may be prompted regarding your existing, local calendars. Tap the "Keep on My iPhone" button. If you are prompted again, tap the "Keep on My iPhone" button again. 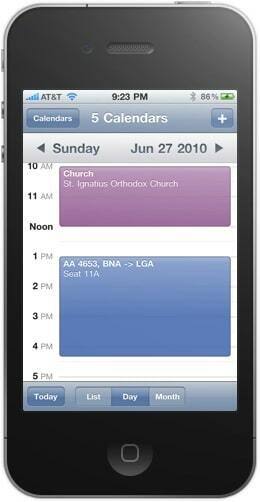 Go to your iPhone "Calendar" app. Click on the "Calendars" button in the upper left-hand corner. You should see all of your Google Calendars, including shared calendars listed under the Gmail section. You may need to wait a few minutes for the Google calendars to sync with your phone. Ensure that the Mumineen Miqaats calendar is selected. A checkmark will appear to the right of each one you select. Tap on the "Done" button at the top of the screen. It may take a few minutes (sometimes up to an hour on certain connections) for your phone to download all of the miqaats from the Google servers. Miqaats and dates may download in a random order so don't be alarmed. However, if all has gone well, all the miqaats should appear on your calendar. 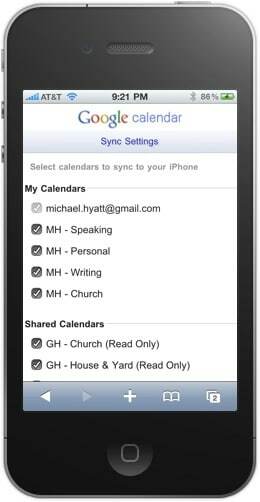 Special thanks to Michael Hyatt for his instructions on how to setup Google Calendar on your iPhone 4.